Even when hearing a language I do not understand, I love to sit and listen to the ups and downs of its words. I like watching how people’s mannerisms flow with the sounds they make and the rhythm of their conversations. It’s a simple pleasure of mine that is all well and good when I don’t have to collaborate with the people whose language I don’t understand. For all intents and purposes, in those moments their conversation may as well be an art I am casually admiring—with no attachments to the people, and no deep meaning to me. When it’s time to do life together, however, language difference means everything. No matter how sincere my desire to live in community with someone, if we do not understand each other’s language our connection will be blocked. This is where we’re at in many churches, including African American congregations. I’m not referring to Ebonics versus standard English. African American congregations often flow between those flawlessly. I am talking about the languages of different generations. It is in our bones, our ancestry, our culture to build communal connection. Still, love—very real, genuine love—can get lost in translation when we think we’re speaking the same language but we are not. For this reason, I am delighted to introduce the new African American Conversation Toolkit. Sean Watkins, Teesha Hadra, and I—each from different backgrounds but all familiar with the African American experience—collaborated to create what we hope will be an insightful resource attuned to the complexities of African American young people that differ even from one US region to the next. There is a very real language barrier between generations in the African American church; still it is not only possible to bridge this gap, but a promising reality. Though much has changed in society across the generations, there is still common ground to walk upon. There is also a way to enter the arenas of difference and maintain connection to build deeper trust. 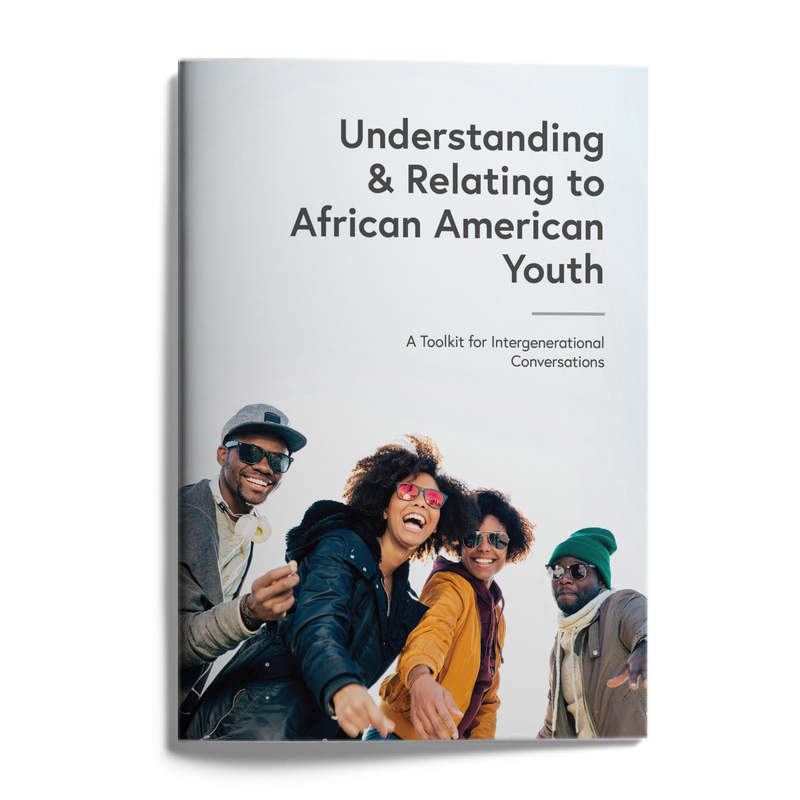 Discover tools to help you translate your intentions for connection with African American young people into ways they understand, and that guide you into better understanding their uniqueness. Whether an African American yourself or someone wanting to engage students more, I encourage you to lean into these conversations with thoughtfulness about cultural and generational differences. Our toolkit is designed to be a starting point for rich dialogue that can lead to deeper empathy.